Home Health 4 Flours You Should Eat To Reduce Your Blood Sugar! 4 Flours You Should Eat To Reduce Your Blood Sugar! Everyone around the world is today haunted by the ghost of diabetes. Let’s fight it. Chickpea flour, more commonly known as Besan, is rich in protein content. The Chickpea flour is not just high on Protein but also quite rich in taste. It is very often used to thicken gravies of vegetables and to make curry or soup. As per the research, the Chickpea flour is absolutely gluten-free. In fact it is full of good fiber and the total carbohydrates content is at 34 levels (per half cup serving). The Glycemic Index is somewhere around 44. Oat flour is one of the most popular gluten free flour. Oats have no gluten content in its natural form. The flour has really good amount of protein and about 34 levels of Carbohydrates. It also has a low GI index of 44. It is a very healthy choice to control your blood sugar level. 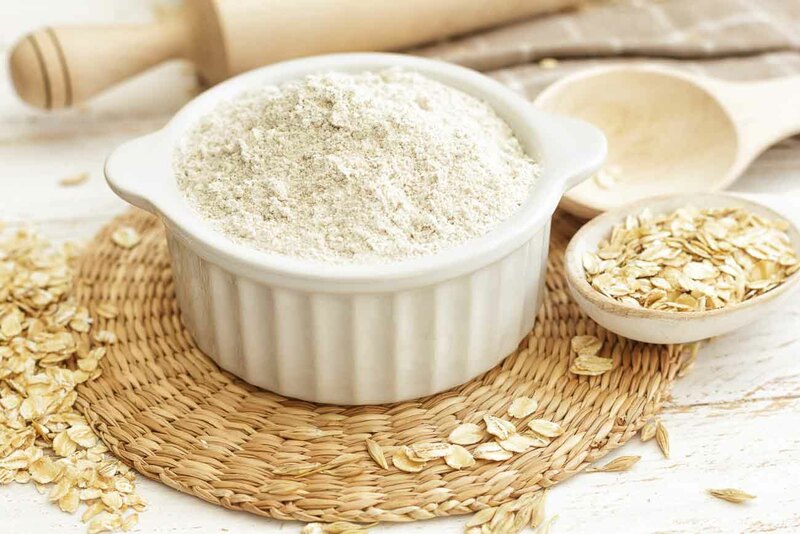 Oat flour is popularly used to make bread, cakes, cookies etc. Soy Flour – Packed With Fiber And Protein. Soya bean flour helps in protecting the heart against oxidation. Soy flour contains fair amount of fiber and vitamins, and is full of protein. The amino acids found in Soy flour helps you keep your muscle functioning properly. The Glycemic Index of soy flour is more or less 25 and the carbohydrates content is at 16. Apart from being made into bread, it can also be used to thicken various recipes. Barley can be grown all over the world and hence is readily available everywhere. This is another very healthy option for diabetes. The Glycemic Index is at 53-66 and the carbohydrates are at around 55. This whole grain flour can be used to make cakes, breads, and other bakery products. Barley is often used by mixing it with other flours. A lot of health conscious folks prefer Barley flour over white and wheat flours. These flours can be very handy in controlling your blood sugar levels. If cooked properly and in the right way, they can be really tasty as well. So, you can choose to eat any of these flours based on your choice and taste without worrying about diabetes.